177 total comments in 130 stories. Is The Secret World so great when it isn't secret anymore? I just got done playing The Secret World (if the title of this article didn't give that away). 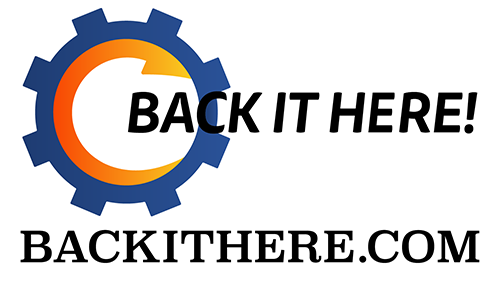 If you're not aware, it's a modern-day MMO about conspiracy theories and...that's really about all I know. Basically every conspiracy theory you've ever heard is true. There are three secret organizations of people - the Illuminati, the Templars, and the Dragons - that are in a constant state of contest. It's actually an interesting idea for an MMO. And to be honest, it doesn't completely fall apart in translation. That said, once the veil of mystique is pulled some aspects of The Secret World starts to feel less impressive. Combat isn't too terribly different from what you've seen in other MMOs. Other than the fact that you can - and should - move while fighting (and casting), you're still basically building and spamming a rotation of abilities until the enemy or enemies drop dead. There's no real sense of impact in the combat; there aren't even real animations of the enemy responding to the hit, so the only way to even know you've landed a blow is to watch the numbers and text over the enemy's head. It's a forgettable combat system that, when book-ended by Tera and Guild Wars 2, feels more than a bit archaic. Character development is one of the game's strongest points. There are no classes in The Secret World; instead, you'll spend your time acquiring and spending AP (ability points) and SP (skill points) to develop your character. In order to spend your AP, you have an ability wheel. The wheel is broken into melee, ranged, and magic. Melee is further broken down to blades, hammers, and fists; ranged is further broken into shotguns, pistols, and machine guns; magic is further broken into elemental magic, blood magic, and chaos magic. Within each of these categories you have nodes, and each node contains a list of abilities (both active and passive) that increase in cost, each node ending with an elite ability. The skill points are broken up in similar fashion but not in a wheel format. It all sounds very confusing (and it is at first), but you'll quickly pick up on how it works and have no problems making the build you want. And, in theory, you can grind to max AP and SP so you can have every single ability and skill maxed. Of course you wont have to do so in order to be able to engage in the game's end-game content, but it's good to know your development isn't really capped. Once you acquire the abilities, there's still a caveat: You can only have seven active and seven passive abilities available to you at one time. Picking and choosing the right combination of active and passive abilities becomes something akin to a trading card game and can be incredibly addicting. The developers have also offered some handy pre-designed templates (called decks) that you can use assuming you have all the necessary skills available to you. The story and atmosphere are, to me, the game's best points though. The first and only zone available during this beta weekend (Kingsmouth) is overrun with a zombie plague. The small New England town has a realistic feel and vibe to it. Just walking around in the thick fog with cars crashed and flaming or bellowing smoke, you actually feel like you're in a horror movie. At times I actually found myself so caught up in the atmosphere that I jumped a little when something started attacking me. The questing helps with keeping you immersed in the world. There are very few of your traditional MMO-style quests where you go kill a certain number of something to loot a certain item. Some quests are a twist on the common quests of fantasy MMOs, but they always have a little flavor that feels logical and consistent with the modern-day setting. One quest, for instance, had me going around town grabbing security cameras from businesses so that I could place them in areas around town for the police sheriff. The fact that there was a real logic to what I was doing and why I was doing it made the quest so much more enjoyable. Instead of using a traditional gear system, The Secret World uses a talisman system for stat-modifying items. You have seven specific talisman slots to equip, and these work like gear in other MMOs except that they're not visible on your character. Your outfit is separate altogether and strictly cosmetic in nature. Not only does this fit the flavor of the setting, but it allows every player to create their own style without being bound to a particular look based on their class or build. Overall I had a lot of fun with the Secret World beta, although it's important to remember that it is a beta. Things can and will go wrong. There are bugs that need fixed. There are design issues that should be addressed. Much of what we saw animation-wise (if Funcom is to be believed) was placeholder art. But from what I've seen so far, most of the gameplay is engaging and immersive and interesting. So while I don't expect the final product to be a radically different game (and wouldn't honestly want it to be one), I do expect to see many more improvements made in the coming month leading up to the game's release on June 19th. If you want to check out The Secret World for yourself, you can pre-order it from Funcom's site, Amazon, or your local Gamestop and enjoy the beta weekends that will occur every weekend until the game's launch. Jalexbrown gives his picks for the best games that he played in 2011. While all of these games are good in their own way, Batman: Arkham City just stands above the competition. The story is intriguing, the combat is amazingly fluid, it feels like an improved sequel, and the feeling of actually being Batman is just something that no other game can match. Battlefield 3 is an example of a game that just plain rises head-and-shoulders above its competition. Sure all of these games can be a lot of fun to play, but Battlefield 3 is just so freaking polished that it's hard to go back to any of these other games after playing it. Perhaps the most note-worthy aspect of the game's mutliplayer is that teamwork actually matters; running around like a vigilante rogue won't get much accomplished. The vehicles should also be mentioned, because they're awesome and a whole lot of fun to use. A shining example of multiplayer goodness? I think so. This is one of my favorite game series of all time, and Strange Journey is definitely deserving of the title. 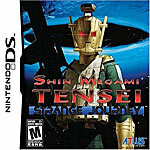 The story is a bit weak compared to other Shin Megami Tensei games, but Strange Journey more than makes up for it with awesome gameplay. Combat is a lot of fun, and the negotiations - while a staple of the series - never fails to feel extremely cool to me. If you like RPGs, you should definitely consider this game. While Chrono Trigger definitely isn't the most changed from its original entity (in fact none of them are groundbreakingly different), I think Chrono Trigger was the best in the first place. The story is amazing, the soundtrack is gold, and the gameplay is a great example of why the 16-bit era was hailed as the generation with some of the best Japanese RPGs ever. Not only was it my favorite role-playing game of 2011, but it was also my favorite handheld game of 2011. There's not much I can say here without rehashing, so I'll just congratulate the game and move on. This game rocked my life when I started playing it. I played Persona 3 to death and knew it was awesome, but after playing Persona 4, I realized that a game just has no right being this great. I don't mean to sound like I'm writing a love letter to this game, but I can't help it. Story, soundtrack, gameplay...it's all here, and the game rarely seems to faulter at all. This game will be the reason I keep my Playstation 2 hooked up for a long, long time to come. This was a tough one, because in truth Battlefield 3 might not be the most well-rounded of the nominees; the single-player campaign is pretty average in my opinion. But I can't help it...this game shines for me. To be fair all these games are great and every one of them could be argued as deserving of the award, but when I turn on my Playstation 3, I keep going back to Battlefield 3. Much like with the Playstation 3 nominees, arguments could be made for all of these games. But Batman: Arkham city definitely feels like the most polished and complete game of the bunch. Rocksteady games was on spot with Arkham City, creating a follow-up to Arkham Asylum that definitely deserves its namesake. Now...Arkham State? Arkham World? Arkham Universe? I don't care, Rocksteady; just make it happen. But there will always be a spot in my Xbox 360 for Arkham City. This was the hardest choice of the bunch; it's supposed to be by definition, I suppose. And to be perfectly fair, every nominee is, in its own way, the best of the best. These are the games that give us a reason to be gamers. And if any one game that I've played this year gave me that spark, that exhilerating feeling that made me say This is why I'm a gamer...it had to be Persona 4. Everything about this game reeks of excellence. The amount of time that you can spend playing this game will make you laugh at even the most exciting multiplayer game. If I could've only picked up one game all year, rest assured it would be Persona 4. THQ announces that, in conjunction with Obsidian Entertainment, they'll be bringing South Park to video game format in the back half of 2012. So be honest; when you think of properties that absolutely don't need games, a few come to mind, right? And I'm guessing South Park is pretty high on that list. There were a few amazingly bad South Park games during the PS1/N64 days, and if you didn't have the misfortune of playing them then just believe me when I say that they were terrible. So who, you must ask yourself, came up with the idea of making another South Park game? THQ announced that they're going to be publishing the Obsidian Entertainment-developed South Park: The Game, which is going to be a role-playing game of all things. You'll take control of the new kid in South Park, whose goal will be to make friends with all the kids of South Park and, no doubt, fight some really bizarre things along the way. Matt Stone and Trey Parker, the show's creators and the two guys that still make the show so freaking funny, are going to be involved in the game. That alone should mean that even if the game ends up being terrible, at least it'll be super-funny-terrible. And for that, I'll buy it regardless of anything else. South Park: The Game will be released on the PS3, Xbox 360, and PC in the latter half of 2012.